Completely powered by the batteries, this discharger is designed to operate with various battery systems and is extremely cost effective. It is completely powered by the batteries under test, i.e. no mains supply is required. Therefore, tests are not terminated in the middle,due to temporary mains power outage. The unit uses forced air-cooling. The load is housed in a compact, rugged enclosure which is light weight for the power rating and is also portable. The load may be left on site, unattended, for an extended period, if required. 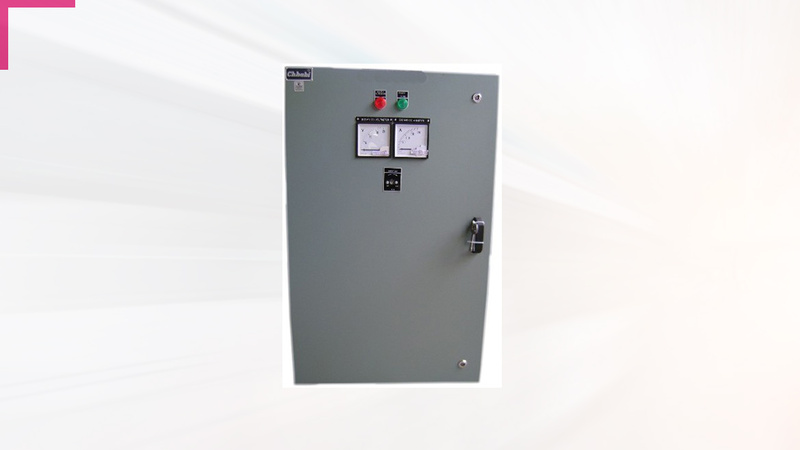 The load bank has constant current operation. The load current continuously varies over the entire current range. The current can be controlled from front panel. It is possible to select the “End Voltage” per cell as per battery type. When enabled, the load monitors the overall battery voltage and when it drops to the “End voltage”, it automatically disconnects the load and the current drops to zero. Thus, the battery discharger becomes an intelligent load, it prevents deep discharge of the batteries and any further possible damages.When this load is used in conjunction with the BMS, (Battery Monitoring System) the ‘End Voltage’ can be programmed.This automatically disconnects the load, when the BMS senses that the ‘End Voltage’ has been reached. This feature overrides the LVD in the load. The rear panel has various connectors. The front panel has text Display for battery voltage and discharge current. The battery discharger has been designed to be very reliable, easy to use and suitable for field application. It is thermally safe and has acommon fan fail detectors for all fans. The DC input is fused and over-voltage protection is included. The DC power connection is on the rear side of panel.